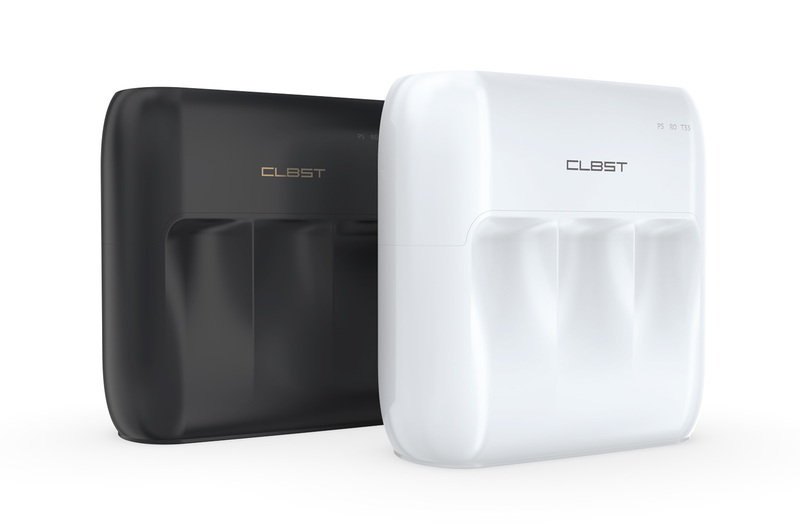 Chinese brand ‘Cleanbest’ is a maker of water appliances for the greater China region. 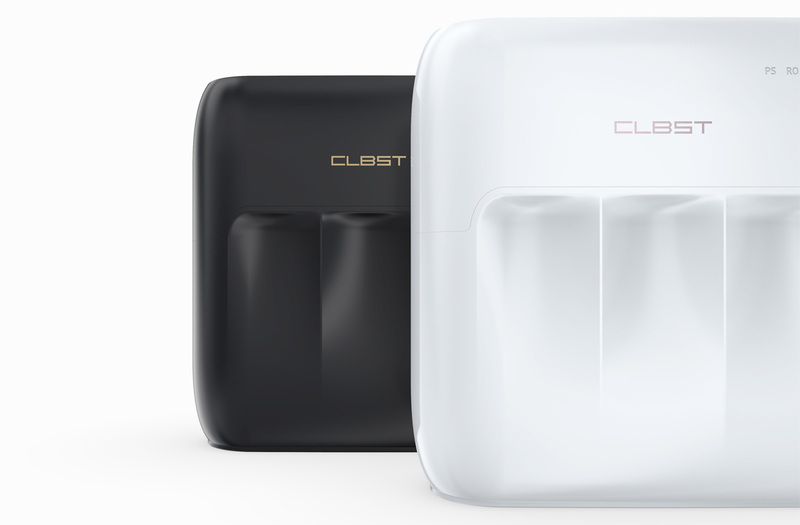 The company approached us 2018 to develop a compelling design for their new bluetooth connected water purifier. Aiming for an affordable yet ultra-modern form factor, our designers discussed several strategic routes to achieve a form factor that would tangibly embody Cleanbest’s smart device controlled cartridge system as well as its main customer promise: To deliver healthy water to young families across China and providing cutting-edge tech to ensure drinking water free of bacteria- or other contaminants. What we did: Looking at the usually functional and quite boxy product designs of Cleanbest’s competitors, we opted for a fluid looking shape design language, apt to entice young consumers. The elegant yet cost-effective to manufacture dual-shell enclosure hides all filter cartridges invisibly beneath its streamlined surface, thus making the purification system also suitable for use on top of kitchen counters (not just under the sink). The front shell can be easily detached to allow access to the cartridges. The appliance’s acrylic top surface features a bottom color coating, whose lower layer comes in various colors that can be exchanged to market the product in different retail channels and sales environments.